A trio of researchers at the University of Wisconsin has discovered that a common soil bacterium produces a chemical that is more effective in repelling mosquitoes than DEET. In their paper published in the journal Science Advances, Mayur Kajla, Gregory Barrett-Wilt and Susan Paskewitz describe their search for the chemical made by the bacteria and their hopes for its future. DEET has been the leading mosquito repellent since the late 1940s and multiple studies have shown it to be safe to use—still, some believe its synthetic nature suggests it might be causing harm. Because of that, scientists have continued to look for a natural repellent. 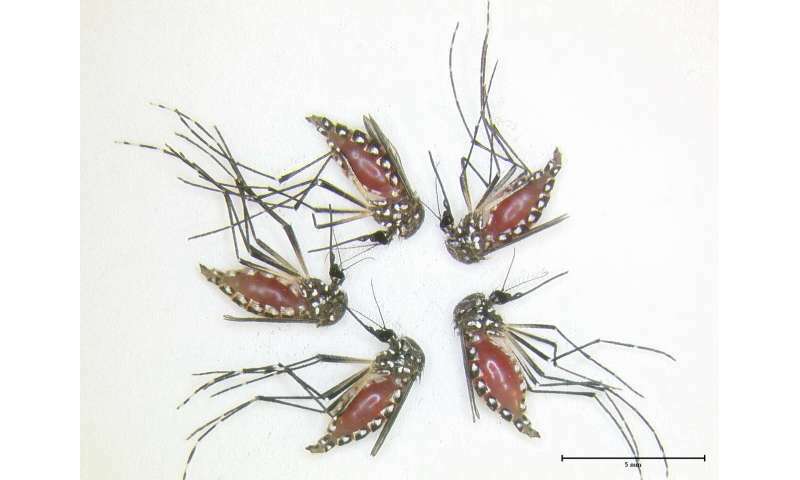 In this new effort, the researchers report that they have found a naturally occurring chemical that is even more repellent than DEET, though it will have to undergo extensive study to see if it is safe to use. The researchers report that their study began with Xenorhabdus budapestensis, a type of bacteria that takes up residence in soil-dwelling nematodes. The nematodes actually use the bacteria to help them parasitize insects. The researchers wanted to learn more about how the bacteria help kill insects and, in the process, found that mosquitoes were quite averse to its presence. This suggested the bacteria produced a chemical that caused the mosquitoes to stay away. To find out what it was, the researchers built an animal stand-in using a membrane filled with fake blood and then covered it with cheesecloth laden with chemicals from the bacteria. They put the stand-in inside of a container where they could release mosquitoes and used it to narrow down the chemicals produced by the bacteria to just one—one that was a member of a class called fabclavines. When applied via the cheesecloth, the researchers found that the mosquitoes would rather starve to death than go near it. 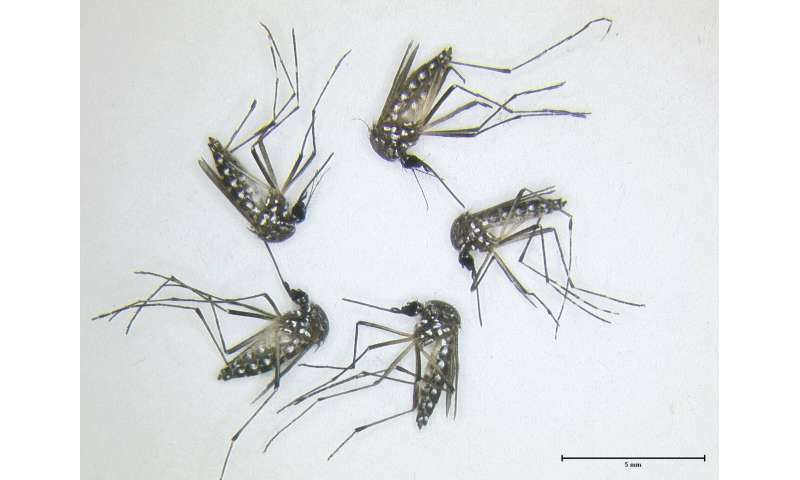 Further testing showed that the chemical was up to three times more repellent than DEET. The team also found that high concentrations of the chemical served well as a repellent, while small concentrations worked well as a deterrent from drinking the blood from a treated surface. The researchers note that their work is purely preliminary, they have no idea if the chemical would be safe for human use, or if it could be made in mass quantities.